The "Choo Choo eBox" laundry service is a one-of-a-kind service in Hong Kong allowing customers to drop off their laundry bags at our patented eBoxes in the morning and collect the cleaned items in the afternoon. 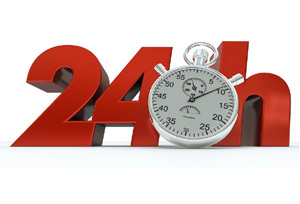 Our shops operate 24/7 all year round for customers to enjoy carefree laundry services at their convenience. To enjoy our service, just simply drop off your laundry bag at the eBox and pay by Octopus according to its weight indicated. Items dropped off before 10am will be cleaned and ready for collection by 5pm. Items dropped off after 10am will be ready for pick up the next day after 5pm. Our staff will take out the laundry items, clean, dry and fold them, and finally put them back into the eBox. Then, our system will automatically send an SMS to you with a password for collection. 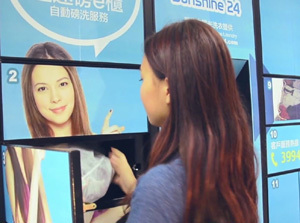 Customers can pick up the laundry bag from the eBox within 24 hours after receiving the SMS. The eBox door will automatically open after you have input the password. We provide free storage within the first 24 hours from the time we send you the pick-up notification. Overtime charge is $30 per 24 hours with SMS reminders. 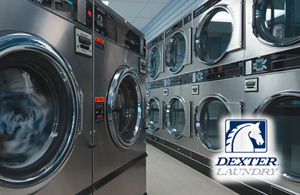 Our shops use washer-dryers from Dexter, the world renowned brand for professional laundry machines. The heavy-duty stainless steel shafts and high-strength frames in the washers have undergone 1,000 hours of rigorous testing. Dexter professional washers are far more quiet, reliable and efficient than domestic machines. 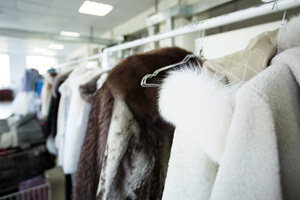 Our machines are designed to handle everyday clothing as well as curtains and bedding items. 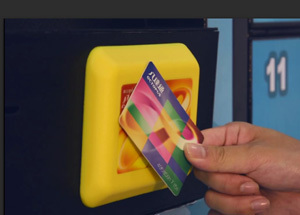 If there is insufficient fund, please add value to your Octopus card at nearby convenient stores before using our service. Choo Choo eBox is designed for everyday wash and fold laundry items. If you have dropped off special items (e.g. down, silk or bedding items) that we are unable to accept, our customer service staff will contact you directly. Remember to pick up your clothes within 24 hours after receiving our SMS. You can also authorize others to pick up your clothes by forwarding the SMS to your friend. $30 per day will be charged for late pick up.